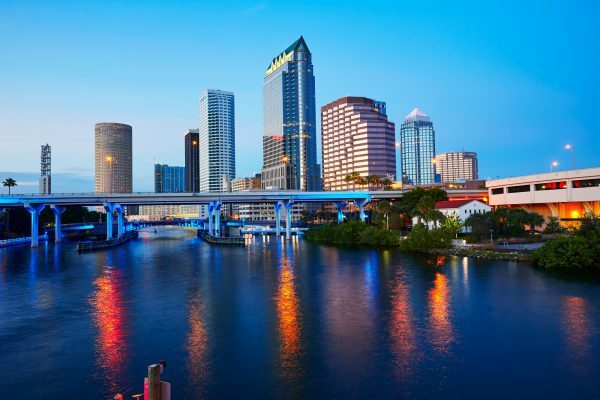 Tampa is a hot bed of new growth for businesses making the move to the Sunshine State. Not only are businesses taking advantage of the tropical weather, they’re also tapping into the ever-expanding pool of writing professionals to help support, market, and promote their services. According to figures from Indeed, a content writer can average $20.67 per hour. This figure is in line with the national average. Based on figures from Glassdoor, the average base salary for a writer in Tampa is $48,192 annually. Ziprecruiter estimates the average annual salary for a U.S. content writer in 2019 to be $49,343. Taking it a step further, Indeed notes a Content Manager can year $44,496 and a social media strategist can earn $54,423. As businesses strive to make their presence known on the internet with the goal to capture the attention of potential customer/clients, the need for more quality content will be necessary. This results in an increased need for professional writers. According to the Bureau of Labor Statistics, the job outlook for 2016-2026 will rise by 8 percent. For writers, an increase in jobs in the Tampa Bay area is an exciting possibility for providing prospective opportunities for writers just starting out as well as established writers enhancing their career. Florida is the third largest state by population in the United States, and Tampa is the state’s third largest city. With statistics like these, it is no surprise that Tampa would be well represented in the field of education. Tampa is home to the University of South Florida, the University of Tampa, and Hillsborough Community College. Each college/university offers classes for aspiring writers to hone their skills such as those at The Saunders Writing Center at the University of Tampa. There’s plenty of support for writers in Tampa with groups to join listed on the meetup.com website such as the Seminole Heights Area Writers (SHAW) public group that discuss all things writing and publishing. The Tampa Bay Authors Meetup focuses on bringing out the “book in you” and covers topics from self-publishing and marketing to how to hire a ghostwriter to help with the project. The Tampa Bay Publishing Conference is scheduled for Friday, February 22 through Sunday, February 24, in Largo. The conference tackles the world of traditional publishing, self-publishing, editors, agents, and more. Just across the Howard Franklin Bridge on 7th Avenue South in St. Petersburg, the annual Tampa Bay Times Festival of Reading is scheduled for November 9, 2019. The one-day event features published authors discussions and signings along with books for sale. Stay connected and informed about what’s happening on the writing scene via local events. Participating in these events can strengthen your writing persona, support fellow writers, and create and strengthen a supportive network of professional writers. Art of Internal Audit Report Writing – the workshop is scheduled for March 19. It will cover audit reports that are easy to write, read, and understand. Business Case Writing Training – two workshops will take place. One on April 15 and the other on March 14. The Business Writing Training workshop has three schedules; Feb 25, March, and April 15. Florida Writing Workshop – Scheduled for Saturday, June 8, at the Crowne Plaza Tampa, the workshop covers information on how to get published. The one-day workshop will focus on writing, publishing, marketing, pitches, and queries. The workshop is open to all writing genres. SoHo (South Howard Avenue) is near downtown and a great place to take your computer, connect to your hot spot, and find a spot near one of the many cafes, restaurants, or coffee shops and get to work. Davis Island Beach, near downtown, is a quiet respite near Peter O’Knight Airport providing a nearly private oasis for creative writing. Across the street from Lowry Park Zoo is the Lowry Park Trail running along the Hillsborough River. Picnic tables dot the scenic area, which are perfect for setting up your laptop. In north Tampa near Raymond James Stadium, take a stroll around the loop past the pond then pick a picnic table and let the creative juices flow at Al Lopez Park. Enjoy a stroll along the downtown Riverwalk and find a cool spot to start your work day. There are plenty of restaurants available to keep you fueled. If you want to take your work inside, the John F. Germany Public Library opens at 10 a.m. Monday-Saturday and 12:30 p.m. on Sunday. Whether your interest lies in connecting with other writers by participating in discussions or you enjoy listening to informative speakers, consider joining a local community group to stay informed and up-to-date on all things pertaining to writing. Florida Writers Association: the association has two groups in Tampa where discussions and guest speakers are the focus. The first is in New Tampa/Wesley Chapel. The second is in north Tampa in Carrollwood. Both meet once a month at designated locations. Tampa Writers Alliance: the alliance is a non-profit support group for local writers who are navigating the writing and publishing process. Free monthly meetings are held monthly at Barnes & Noble Carrollwood where each month a published guest speaker brings their expertise to the group and shares information. Tampa is on the move with new companies bringing their business to the Bay area. With the influx of new business comes the need for content to put their product and/or services in the limelight. For writers in Tampa, business is booming for freelance writers, SEO specialists, social media managers, strategists, copywriters, and journalists. To tap into available writing jobs, stay informed and connected by reaching out to area businesses that are new to the area as well as established companies and agencies that provide services that include writing. CopyPress – Since 2009, CopyPress has served its community of creative clients and talented writers through products, software design, marketing, and assorted services to promote the success of everyone involved. The content marketing company focuses on enabling businesses and creative talent with tools, expertise, and targeted ideas from the start of a project to the finish. CopyPress has two offices: one in Tampa, Florida and the other in Scottsdale, Arizona. WriterAccess – With over 15,000 freelance writers, content strategists, editors, and translators and more than 25,000 customers, it’s no wonder the Boston-based company leads the way in providing top-of-the-line professional services to its clients. As content marketing continues to expand across the globe, WriterAccess has kept up with the need for quality content via its talented creatives and has plans to expand its international base in the near future. IB Publishing – The company is a proven leader in four verticals: home/travel, health, legal, and automotive. Their goal is providing professionally written content and web solutions for their clients. Florida, and the Tampa Bay area, aren’t strangers when it comes to successful writers who’ve called the Sunshine State their home. Tampa boasts an array of talented writers from the current executive editor of The Washington Post and former editor of The Boston Globe, journalist Martin Baron, to American writer and current Spokesperson for the Republican National Committee, Kayleigh McEnany. Other notable Tampa writers of fiction, non-fiction, music, and poetry include journalist/reporter Tom Dorsey, singer/songwriters Ottis (Slim) Whitman, and Beth Hirsch, and poet JD Scott. In her free time, Vickie F. enjoys doing home improvement projects, traveling primarily throughout the southeastern states and her home state of Florida. 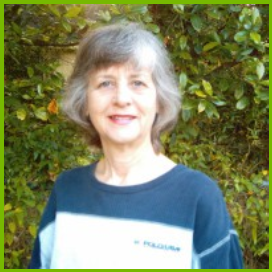 She also enjoys camping, antique porcelain and china collecting, flower and vegetable gardening, southern cooking, creating crafts, and oil painting. She is an avid reader with mysteries, spy novels, historical biographies and science fiction her favorite genres.